Three months after launching its new bus rapid transit system in the city, GRTC has rolled out other bus service enhancements this week across Henrico County, including the first bus service to Short Pump. Revised routes and expanded service hours for bus lines in Henrico took effect Sunday. The changes are the result of $1.2 million in additional funding that Henrico budgeted this year, as county administrators are betting increased bus transit will boost business there. 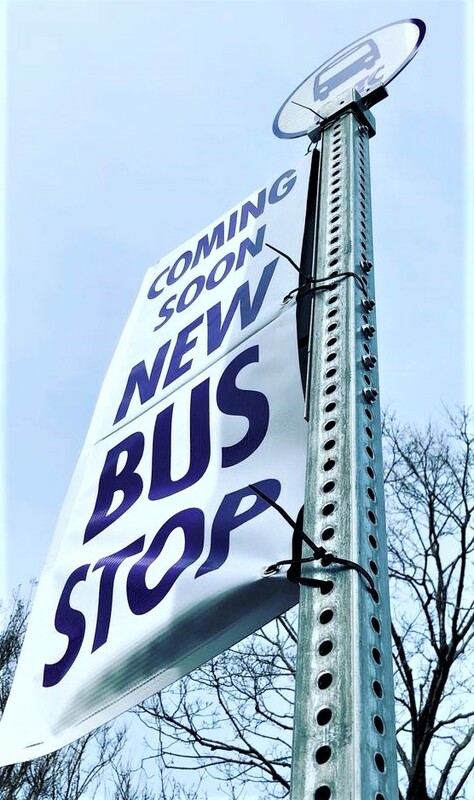 The changes include extended operating hours to include evenings and weekends on the county’s three routes, as well as revisions to those routes on both sides of the city and the extension of the western route to Short Pump. 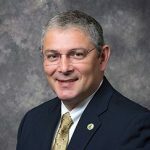 That $1.2 million is to be allocated over a nine-month period, after which the county plans to budget $1.8 million annually to maintain the enhancements, said County Manager John Vithoulkas. The additional investment is described as the largest locally funded expansion of GRTC service in Henrico in 25 years, putting bus stops within walking distance of more than 6,000 businesses along the expanded routes, according to the county. 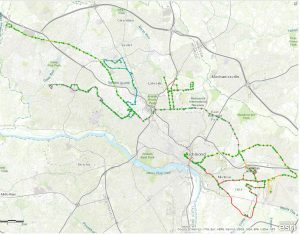 While the extended evening and weekend hours are aimed at encouraging and facilitating ridership, Vithoulkas said the changes also are expected to drive development along those routes – particularly infill projects along the West Broad Street corridor, such as the 300-plus condos Stanley Martin Homes is looking to build just west of Glenside Drive. 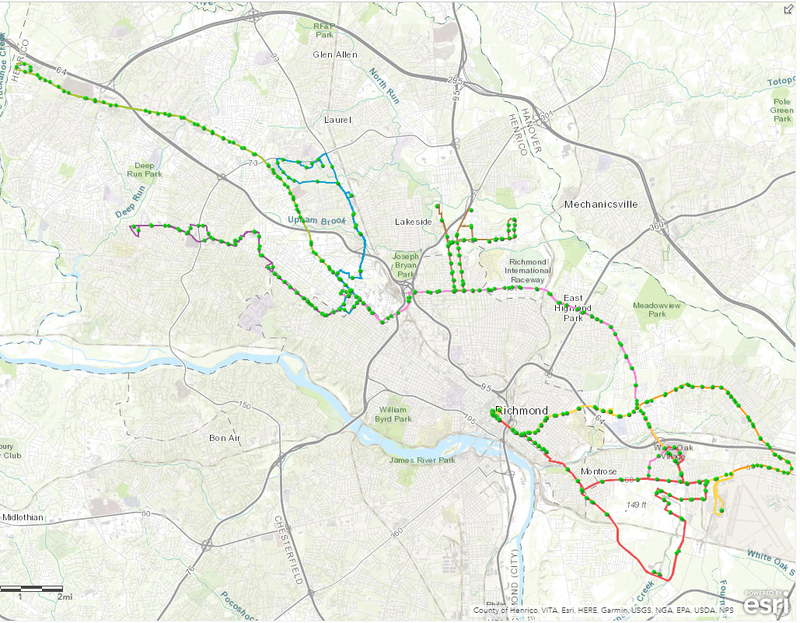 The expanded service comes three months after GRTC launched its $64.9 million Pulse bus rapid transit line, designed to provide faster service with fewer stops and dedicated bus lanes across the city between Willow Lawn and Rocketts Landing. 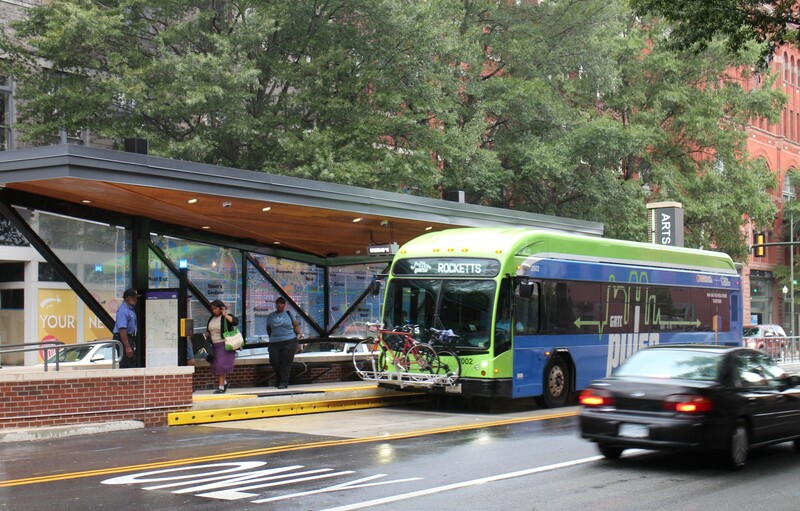 GRTC has said ridership on the Pulse has exceeded expectations since launching in June. Spokeswoman Carrie Rose Pace said daily ridership on the Pulse averages about 6,000 riders, above the transit system’s goal of 3,500 by this time. Ridership numbers for the Henrico routes since Sunday, when the changes took effect, were not available this week. Systemwide, GRTC had a 7.4 percent decrease in local service ridership in fiscal year 2017 from the previous year, according to GRTC’s latest annual report. While Henrico is providing the service in hopes of attracting the ridership needed to sustain it, Vithoulkas considers it a safe bet for the county. In addition to the three routes, Henrico continues to pay for on-demand paratransit service throughout the county via GRTC’s CARE and CARE Plus services. Since the changes were approved, Vithoulkas said the county has heard from one business that wants to locate a call center along Broad Street because of the access to the bus line. 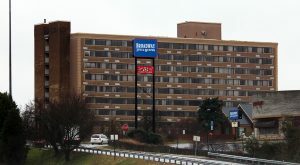 Vithoulkas said the enhancements also are expected to drive transit-oriented development along Broad Street, particularly in the area of Westwood Avenue – an industrial corridor just west of Scott’s Addition that county planners are expecting to follow a similar path, having already lured a TopGolf venue. The county’s moves follow recent revisions by the City of Richmond to its zoning in and around Scott’s Addition. Those changes, approved last year, include a transit-oriented nodal district that allows for taller, midrise development along Broad Street and the Boulevard. 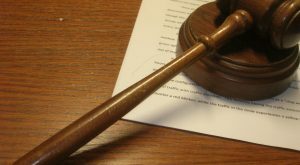 Vithoulkas said he sees similar development spilling over into the county, following the Broad Street bus line across Interstate 195. “We are very likely to see some transit-oriented development out of the expansion of these lines,” Vithoulkas said. “We know that the hotels, retailers, employers that have employees that come in 24-7 or at odd hours are really appreciative of the board’s efforts to expand these transit lines. 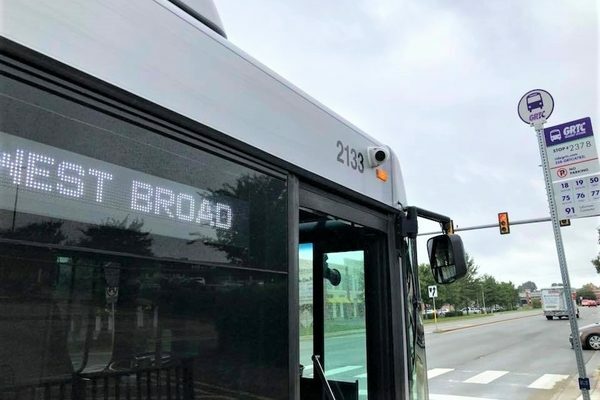 The changes include an extension of the Route 19 West Broad Street line from Willow Lawn to West Broad Marketplace in Short Pump. The route, which now includes more than 30 new stops, previously went as far west as Pemberton Road. The Route 7 Seven Pines line in eastern Henrico was updated to pick up stops from Route 8 Nine Mile, which is being discontinued Sept. 23. The 7 line connects downtown to White Oak with service to Richmond International Airport and Henrico’s Eastern Government Center. Also in eastern Henrico, the Route 91 Laburnum Connector is operating later and on weekends, with service Mondays through Saturdays until 11 p.m. and from 10 a.m. to 10 p.m. Sundays. Extended hours also are implemented on Route 7, which likewise operates until 11 p.m. Mondays through Saturdays, with service starting at 6 a.m. Mondays through Fridays and at 7 a.m. Saturdays. Sunday service is from 10 a.m. to 10 p.m.. Both routes previously operated generally from 7 a.m. to 7 p.m. The Route 19 line to Short Pump operates the same hours, with service every 30 minutes. Updates to other routes also took effect Sunday. 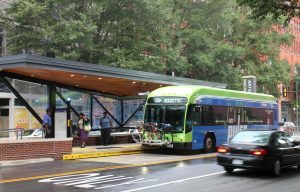 A summary of the changes are listed on GRTC’s website. 12 Comments on "Enhanced bus service rolls out in Henrico, picking up where Pulse left off"
This is a good first step for short hops, but at an hour twenty minutes to get downtown from Short Pump, it’s not a viable way to commute. Hope to see light rail from Short Pump downtown and out to to the airport in my lifetime…. It has to start somewhere. May be a long commute by bus, but still a lot quicker than walking there. Not necessarily meant for people in the far west end to commute. That is what the express commuter lot routes are for (they take you directly downtown). It is more intended for those that don’t have cars and would like access to those businesses for work and shopping. 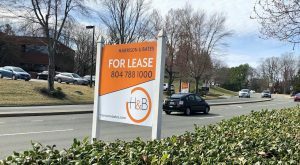 It could help retailers in the Short Pump area from having to paying much higher wages for people to maintain their cars. Costs that would otherwise be passed on to their customers. Expanding BRT or express bus service further into Henrico (on all sides of the city) would be a good start toward cutting down those travel times by bus since light rail service probably isn’t going to happen any time soon for various reasons (namely right-of-way). The northern portion of the county near Virginia Center Commons would likely benefit from a park-and-ride-based express bus route. Not a fan. I live in Henrico COUNTY because I don’t want to live in the city. Granted Western Henrico is pretty urbanized, but I still don’t like the city creeping in any further. Definitely do not like this. I hope Dan gets on the Board and works to strip this and other useless spending from the budget. Valid points. Still doesn’t change my mind. I don’t like it. I don’t like the county spending money on it. I don’t like the continued urbanization. I think things like this should be put to a broader vote than just 5 people. But thanks for the personal insults. Alex, on this site you can’t worry about facts or proper governance procedure. 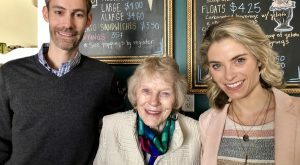 It usually boils down to what the majority of non-residents feel is right in their hearts, regardless if they pay property taxes in the locality mentioned in the article. I would like to see the above poster’s forecast for Westin guests who are planning on taking the bus to Nordstrom or the airport. Yes. The area around Broad & West End Drive is a good example – it’s underutilized but still a central location. In the next 50 years, infill in existing corridors in the region is going to be more desirable for real estate development than building further and further west or east. Look what’s happened in just the last 5 years in the city.